For Google Code In 2017, Jakub Pajdowski created a video on how to install Haiku in VirtualBox [6 MiB]. Virtual instances of operating systems are perfect for all kinds of testing purposes that need to be done in a safe and isolated environment. 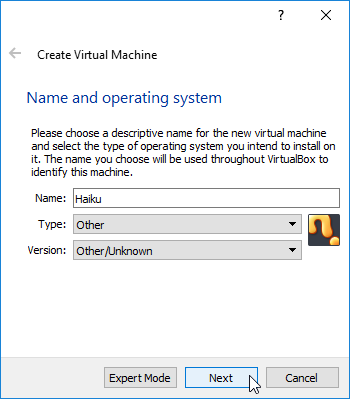 Installing Haiku in a virtual machine is a solution for people who do not want to install it on their physical computers, but wish to become familiar with it. 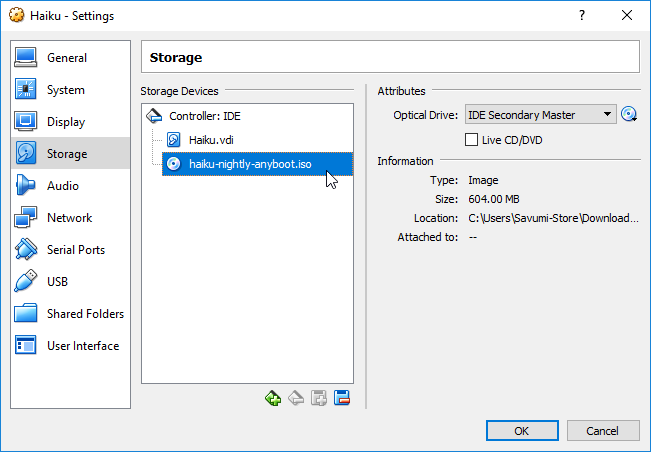 This How-To guide will describe the process of running Haiku on virtual machine (VM) using VirtualBox 3.2 There are two ways it can be done– one is installing and running Haiku from CD-ROM image, which is similar to a physical instance. Ror convenience and time-saving purposes, the user may also use the already prepared VM hard disk image. The decision is left up to the user, although many people prefer VM image as it is easier to manage. For this tutorial we will be using an ISO image file - it can be obtained here. 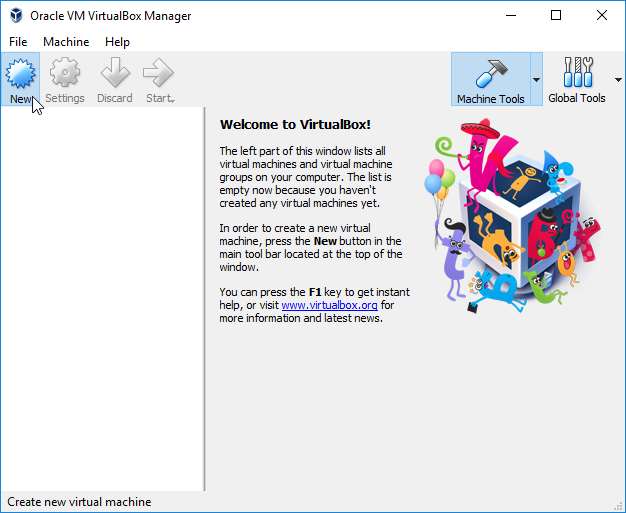 The VirtualBox virtualization software and installation manual can be downloaded from here. Installing and running Haiku from an ISO image. 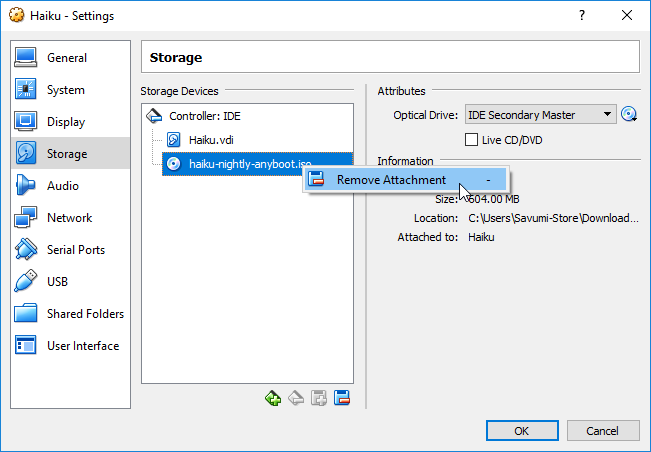 The following guide will describe installation of Haiku with an ISO image on VirtualBox. Step 1. 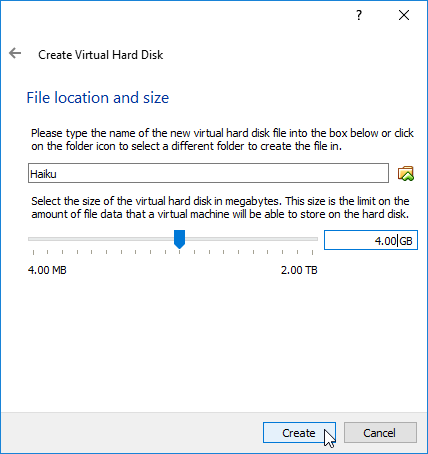 Creating a virtual machine. After installing VirtualBox and downloading an ISO image, we can begin the installation process. 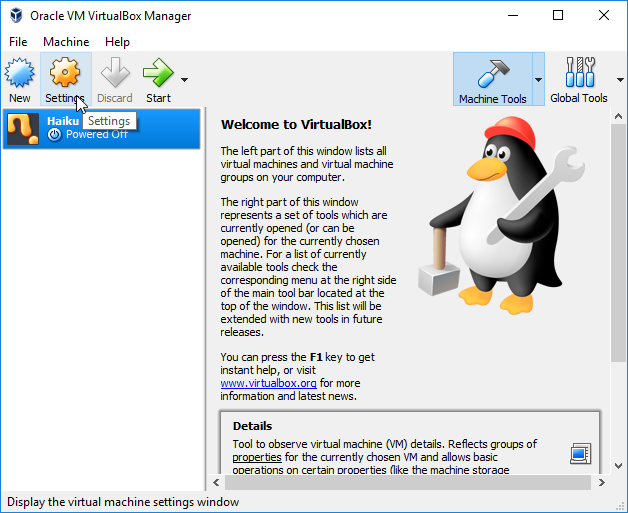 Installing operating systems in VirtualBox consists of two parts - create a virtual machine and then configure it to run the desired guest system installation. Choose VDI and click Next. Step 2. Configuring the virtual machine. First, click on the Settings icon that appeared for our virtual machine. After you are done with configuring, click OK to go back to the main window. Hopefully, at this point everything is properly configured and we can run the Haiku installation. 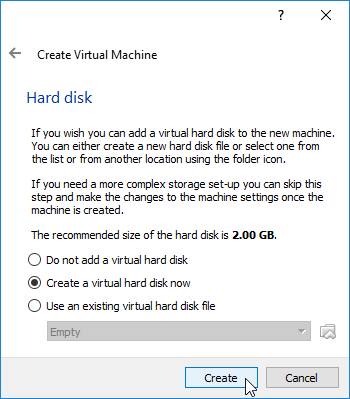 To do so, click the Start Icon (or Machine -> Start) to run the virtual machine. After a few seconds Haiku’s GUI should appear. The installation itself is quite simple and does not differ really from a physical one (follow the guides on this page if you are not familiar with installing Haiku). DriveSetup should detect two devices, one is our CD-ROM (ISO) file and another is the “harddrive” we created earlier. All we need to do is select that drive, go to Partitions -> Format, click on Be File System and continue the initialization. Then you use Installer from the Deskbar’s appliction menu to install from the CD image to the big virtual harddrive. Additional Step 1. Configuring the virtual machine. There are a few settings that could be changed to improve performance of Haiku. Remember that you need to divide resources responsibly, depending on your host specification. We begin by clicking on the Settings icon. 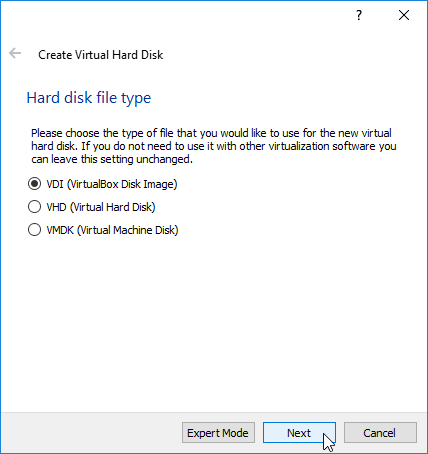 The settings window allows the user to configure the hardware aspects of the virtual machine guest OS will be using. 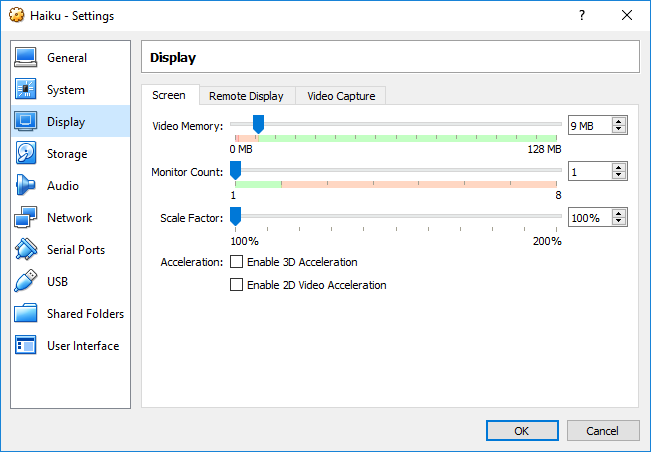 One of the ways to increase performance is changing the video memory assigned to the virtual machine. 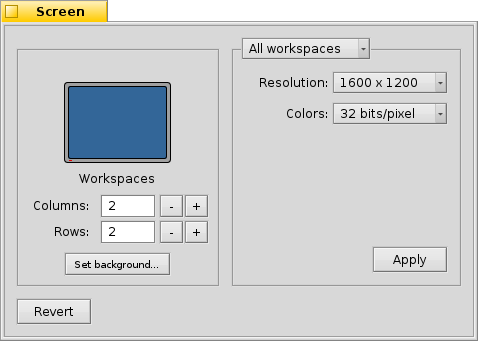 On the left panel click Display tab, and move the first slider to the right, to increase the amount of memory assigned. This should allow the GUI to run more smoothly and be more responsive. 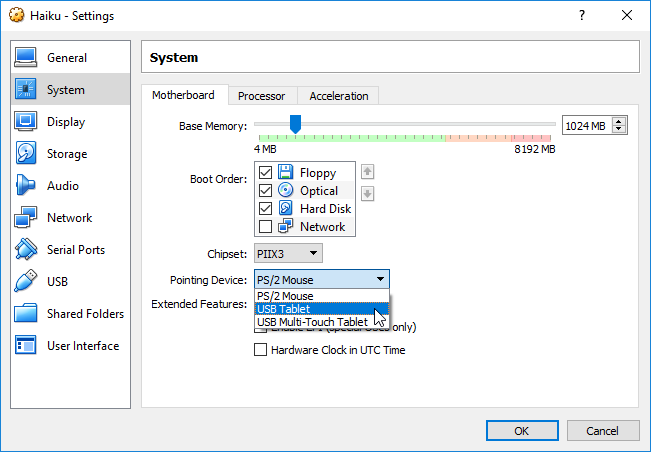 Go to the System tab under Settings and change Pointing Device to USB Tablet. Additional Step 2. Adjusting window settings. 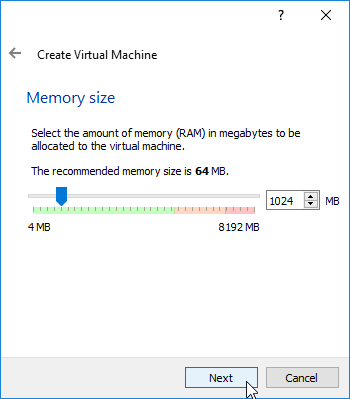 One of the inconveniences users experience while using virtual machines is screen resolutions. By default, guest OS’s apply a big screen resolution, causing the windows to have scrolling bars on both sides to navigate in x-axis and y-axis. There are two solutions for that problem. First solution is simply adjusting the screen resolution using tools built into system. In Haiku we can use the Screen preflet, which can be found under the Preferences menu. By changing the resolution the user will then notice that size of the VM window has now changed. The other way is to resize the guest window through the host. While Virtual Guest Additions are available from HaikuDepot, there is no automatic window resizing support yet. However the user may use custom VESA resoultion as a workaround. 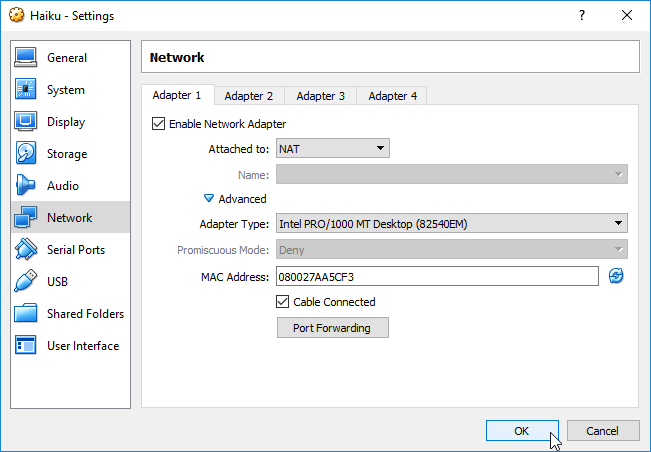 Go to the settings of Haiku virtual machine (it needs to be shutdown first) and click Network -> Advanced-> Adapter type -> Intel PRO/1000 MT. Accept changes by clicking OK.
Now the network services should be working properly. The VirtualBox Guest Additions provide drivers for the guest system so it may communicate with the host with simpler protocols. This could be desirable as it will provide additional features such as shared clipboards. However, this is not a necessary component of a VM, and Haiku will run perfectly fine without or only the available limited Guest Additions installed.